Fig. 2. 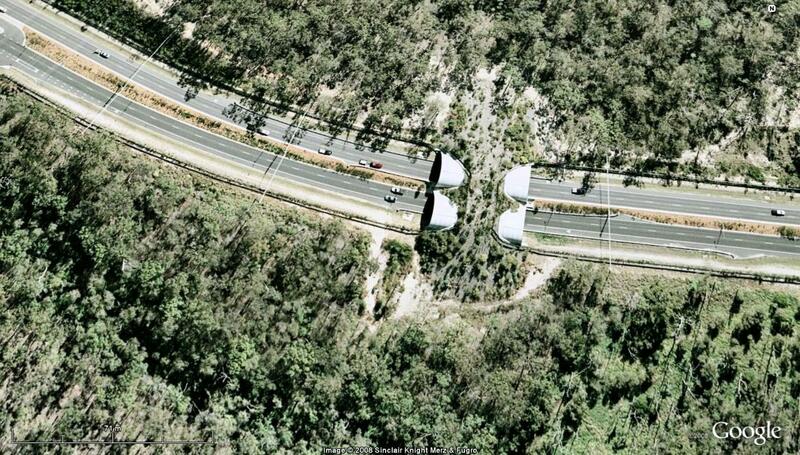 An aerial view of the land bridge over Compton Road, connecting Karawatha Forest (below) to Kuraby Bushland (above). Three rope canopy bridges spanning the road can be seen as thin white lines. The canopy gap created by the four-lane road is approximately 50 m. Source: Google Earth.